Professional Transportation, Inc. Mattingly Charities Announce Event Director for “An Intimate Evening with Friends” - Professional Transportation, Inc. The Right Way is the Safe Way! Evansville, IN – Mattingly Charities, a non-profit organization, today announced Evansville’s Pete Paradossi has been named Mattingly Charities Event Director for the “An Intimate Evening with Friends presented by United Companies” fundraising event being held Thursday, December 3rd, at the USI Theatre, within the University of Indiana’s Performance Center, Evansville, Indiana. The event, hosted by Don and Lori Mattingly, will include a cocktail reception, a silent auction, a question/answer session with Don Mattingly and baseball superstar, Albert Pujols. It will conclude with musical entertainment featuring country music singer, songwriter icon, Toby Keith. Founded by former New York Yankees captain and current Los Angeles Dodgers manager Don Mattingly, Mattingly Charities was created to serve under-privileged youth by supporting programs throughout the country that promote baseball and softball participation.  Mattingly Charities is also proud to announce Evansville’s United Companies has stepped up to become the presenting sponsor of the December 3rd fundraising event. Other notable corporate sponsors who have committed to-date include: Skanska USA, University of Southern Indiana, CD Corporate Design, Brinker’s Jewelers, Franklin Street Dentistry, Kanpai Sushi & Asian Bistro, CKB Commonwealth Kitchen & Bar and Pistons Bar and Grill. For more information on how to purchase event tickets or donate online please visit www.MattinglyCharities.org. To inquire about sponsorship opportunities please contact Ray Schulte. 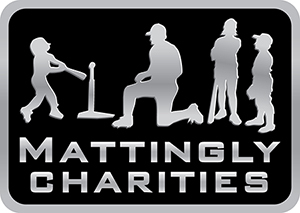 Mattingly Charities, a non-profit organization, was created to serve underprivileged youth by supporting programs which promote baseball and softball participation in conjunction with other developmentally related activities. In conjunction with MLB’s RBI program, Mattingly Charities will establish Mattingly RBI Evansville and will provide funding, services and equipment for baseball, softball, and ultimately other sports, and related youth development activities, for the benefit of underprivileged youth, youth leagues, and social welfare and related organizations. 100% of the efforts of the organization will be focused on these activities to inspire youth to recognize their potential and realize their dreams. Funding will be generated year round through various activities including special events and direct solicitation of the general public.